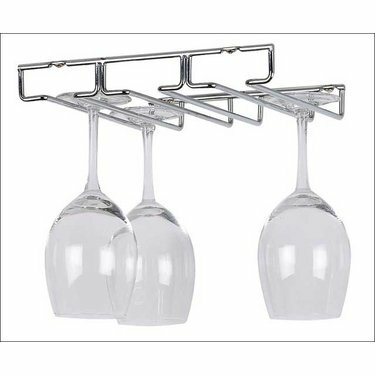 Kitchen Wine and Home Under Cabinet 6 Wine Glass Rack Holder by Kitchen Wine and Home at RVTE. MPN: OIA-1826W. Hurry! Limited time offer. Offer valid only while supplies last. This heavy duty chrome wire stemware holder fits nicely under your cabinet and has three slots that hold two glasses each for a total of six glasses. If you have any questions about this product by Kitchen Wine and Home, contact us by completing and submitting the form below. If you are looking for a specif part number, please include it with your message.